A HELPLESS mother tried to flag down a passing car for help as her daughter lay unconscious in a car park after an 18-year-old man assaulted both women. 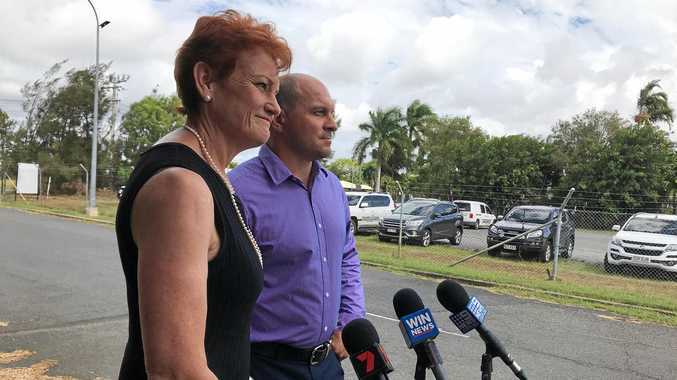 Adam Colin Beevours hurled obscenities at the mother as he followed her out of Rockhampton's Zodiac nightclub to meet her daughter in the William St car park earlier that night. Prosecutor Steve Atkinson said the woman told the 18-year-old to "(expletive) off" twice, but he continued following her. She told police she became frightened and when he got close behind her she pushed him away. When she reached her daughter Beevours launched towards the younger woman, grabbing her by the throat and choking her. Mr Atkinson said Beevours slammed the young lady against a brick wall, pinning back one of her hands. He said she grabbed his throat with her free hand before she blacked out. Beevours then spat blood and saliva at the mother's face. The mother said she tried to wave down another car for help, but they wouldn't stop. Beevours pleaded guilty to two counts of common assault. He blamed the combination of alcohol and his depression medication for his behaviour on February 26. Mr Atkinson said it was a serious common assault and asked Magistrate Annette Hennessy to sentence Beevours to jail time. Jack Blackburn, the duty lawyer representing Beevours, said his client was remorseful. Ms Hennessy said Beevours' "bizarre behaviour" couldn't be blamed on the medication and alcohol cocktail. Beevours was ordered to pay $800 compensation to each woman and $400 for breaching parole. The teenager escaped prison, being sentenced to two months with immediate parole. "I suggest you take maximum advantage of the counselling," Ms Hennessy advised him.